This original birding design makes a great gift for birdwatchers. Take advantage of the time you have and spend as much of it as possible birding! 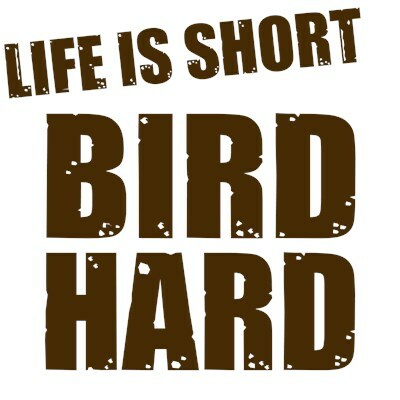 Life is short - bird hard! This design is in a weathered font for a vintage look. To order by phone, call toll-free at 1-877-809-1659 from Monday - Saturday 9:00am - 9:00pm EST. You'll need to note the Product Number 030-1317678356 to make your order.